Stunning new luxury custom home, just completed construction by Turnkey Builders, on one of the best lots in the prestigious Alto Lago addition of Cordova on Canyon Lake. 3 bedrooms, 3 bathrooms, complete with game room and office/study. Gameroom may be converted into a 4th bedroom. Convenient mudroom as you enter off of the side-entry 3 car garage. Open plan kitchen with huge island, combined huge dining/great room with rock fireplace. Large front windows and huge covered porch/courtyard allow for magnificent hill country views! Too many upgrades to list! This home has all the bells and whistles with no compromises or shortcuts by this experienced builder. &#xD;&#xA;Community is gated and secure with excellent protective covenants, private roads and accessible to great shopping. Property Owners enjoy a private 30 acre waterfront park complete with Pavilion, restrooms, trails, bbq grills, picnic tables and water access.&#xD;&#xA;Photos are of home. Turf and furnishings are graphic renderings. Courtesy of Lyon Land Services. 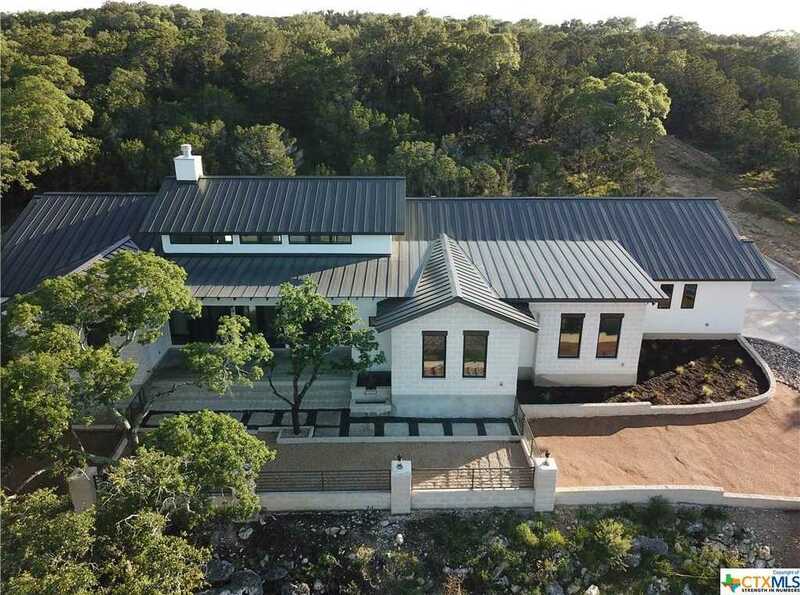 Stunning new luxury custom home, just completed construction by Turnkey Builders, on one of the best lots in the prestigious Alto Lago addition of Cordova on Canyon Lake. 3 bedrooms, 3 bathrooms, complete with game room and office/study. Gameroom may be converted into a 4th bedroom. Convenient mudroom as you enter off of the side-entry 3 car garage. Open plan kitchen with huge island, combined huge dining/great room with rock fireplace. Large front windows and huge covered porch/courtyard allow for magnificent hill country views! Too many upgrades to list! This home has all the bells and whistles with no compromises or shortcuts by this experienced builder. Community is gated and secure with excellent protective covenants, private roads and accessible to great shopping. Property Owners enjoy a private 30 acre waterfront park complete with Pavilion, restrooms, trails, bbq grills, picnic tables and water access. Photos are of home. Turf and furnishings are graphic renderings. Please, send me more information on this property: MLS# 358265 – $790,000 – 2141 Alto Lago, Canyon Lake, TX 78133. I would like to schedule a showing appointment for this property: MLS# 358265 – $790,000 – 2141 Alto Lago, Canyon Lake, TX 78133.